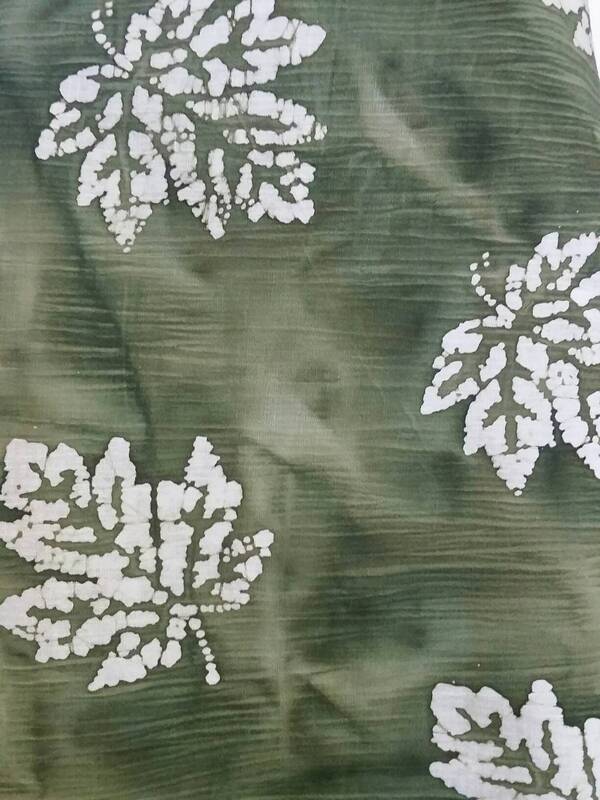 This MDG rich green background dyed batik fabric with textured maple leaf pattern in raised white design would work great not only for a quilting fabric, but would also work for clothing, home design and crafting projects. 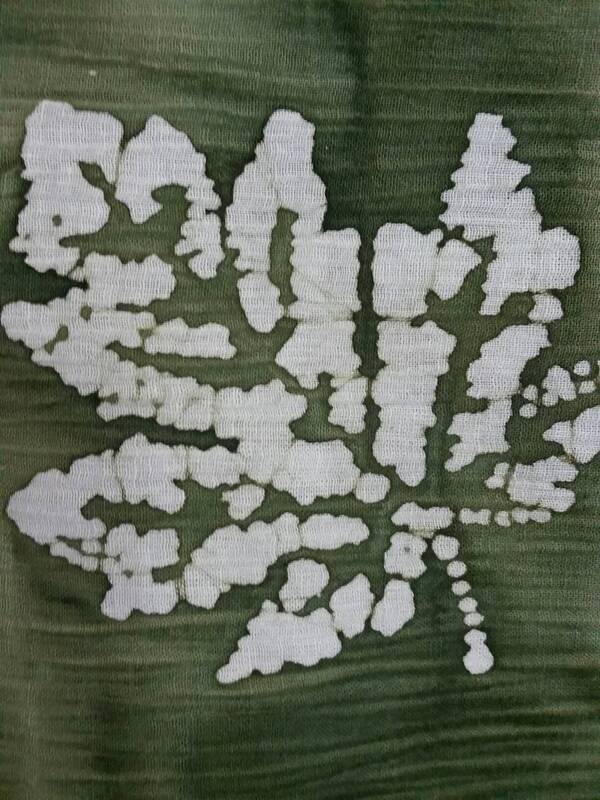 The fabric is cotton. You may choose a one yard cut or a continuous cut of more yardage. One yard is 36"x38". This is new fabric. This fabric has a puckering effect that creates interest. Please check out our other batiks also in vibrant colors. 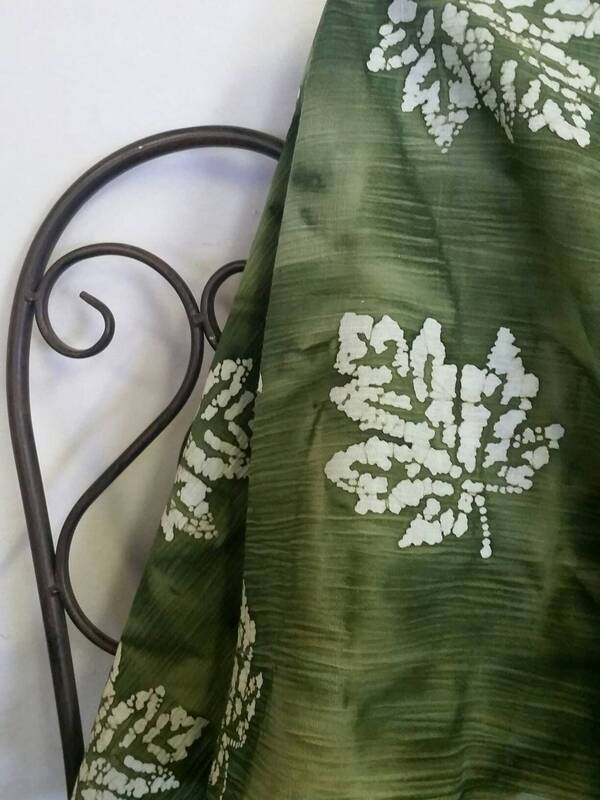 As with any batik, some slight imperfections in the fabric that enhance the design exists. Due to my lack of photography skills, there may be a slight variation in color portrayal, but every effort has been made to assure accuracy.